This subscription works a little differently to our other ones. It's a one-off payment of £45 for three months only. You make your purchase, receive pack 1, and then sign up online to receive the remaining two parcels. This means you can have the first parcel sent to you to give to someone else as a gift if you like! 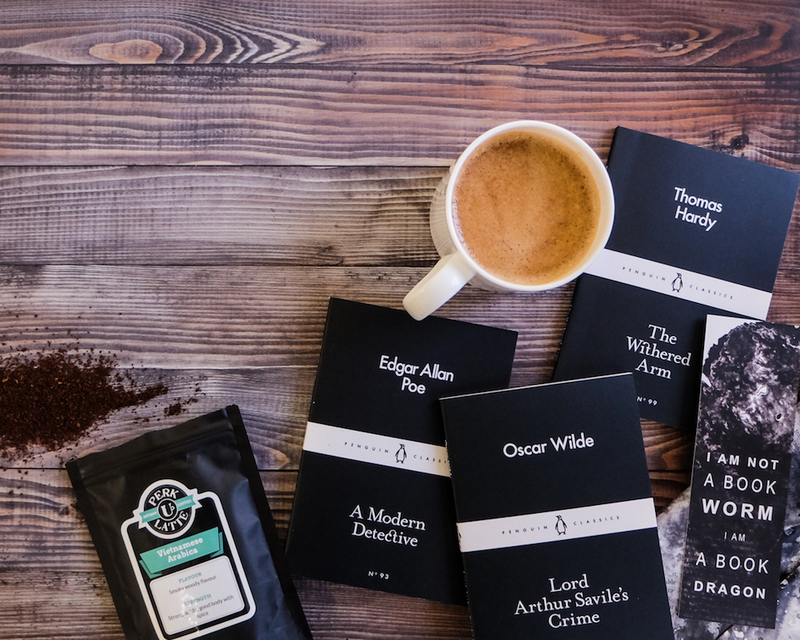 In each parcel you will receive a packet of delicious coffee and three of Penguin's little black classic books. Perfect! There's a tea version on the site too for those that prefer it. We dispatch your welcome pack just after your purchase. This welcome pack counts as the first box of your subscription. 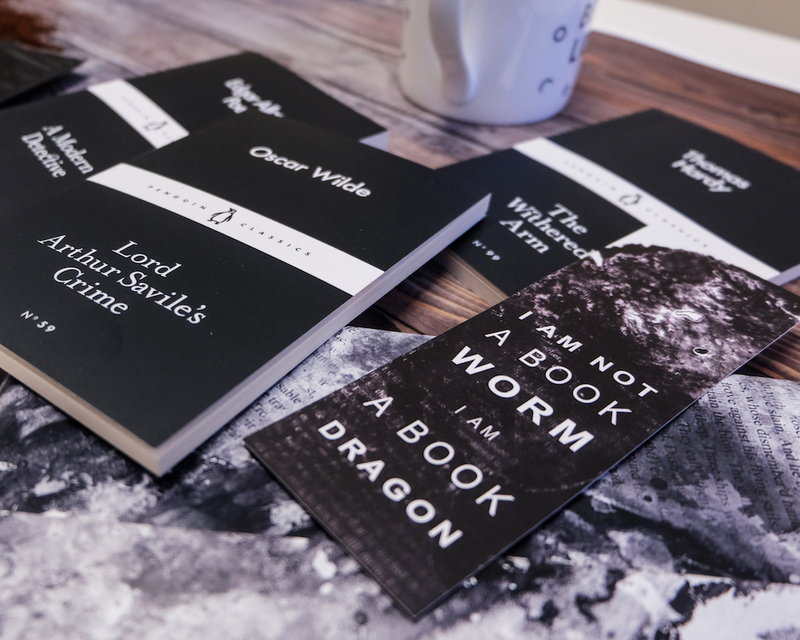 The welcome pack contains the tea, the book and the information the recipient needs to register their subscriptions. Recipients must register online in order to receive their remaining two boxes. It’s super easy to register. All recipients need to do is visit the website as directed on the card. They then enter their unique code (this comes as part of the welcome pack) and enter their delivery details. That’s it! The coffee is supplied by our friends over at Perk-U-Latte, each sachet contains enough coffee to make four to five cups.